Taking advantage of Suzuki’s most advanced technology, the compact Burgman 200 ABS* has everything you need and more. Plush double-stitched seating and specially designed cutaway floorboards provide comfort second to none. It also features a huge storage compartment large enough for two full-face helmets. 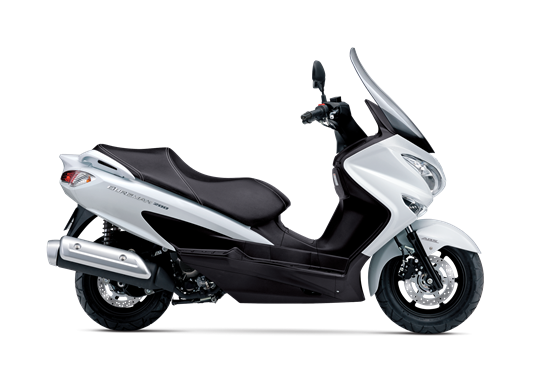 From its sleek bodywork and aerodynamic windscreen to its smooth and powerful 200cc engine, the Burgman 200 ABS is the smart choice in scooters.